Where Do I Get Driver Updates? - Ask Leo! Device-driver updates can come from several places. I'll review which sources for driver updates are best, and where else you might need to look. I downloaded 3 separate ‘check drivers’ programs. Each program identified seven drivers as being outdated. However, my Device Manager says they’re OK. It’s been very difficult to find the drivers, and if they are outdated I will have to purchase one of the driver programs. Do I need to update these drivers? If so, how do I find the sites to download? First of all, Device Manager will not tell you whether or not a device driver is out of date – that’s not its job. What it tells you is if the device driver is installed and working at some basic level. I’ll review the options, and describe what I do. A quickie refresher: Windows is designed to work with all sorts of hardware – even hardware that might not exist yet. The way Windows manages to do this is that programs are written to use a fairly generic, albeit complex, interface. When you set up the machine, or install new hardware, software translates those generic instructions into whatever the actual hardware on the machine requires. That low-level software that directly controls your hardware device is called a device driver, or just “driver” for short1. For example, your video card has software that knows how to translate generic Windows instructions to “draw a pixel here”, or “change the resolution to this” into the specific instructions required by the specific video card in your computer. Different video card, different driver, but Windows and Windows programs still do the same things the same generic way. Specific to the hardware they’re designed for. Like any software, they can have bugs, security vulnerabilities, and the like. That means every so often they need updates. Is A Driver Out of Date? If the drivers were installed with Windows itself, then there’s a good chance that your answer is very, very simple: Windows Update will tell you, and very likely handle the update for you. You may need to look at the “Optional Updates” that are offered along with the critical or important updates, and that’s the most practical place to look first. In fact, that’s all most folk need to do. If your drivers were not installed as part of Windows – and it can be hard to tell – things get more complicated. Yes, there are several third-party tools that may tell you. And yet, I never, ever use them. I find most to be the classic “we’ll tell you what’s wrong for free, but if you want us to fix it, it’ll cost you money” model. Not that there’s anything inherently wrong with that; but I often see it in many areas besides driver updates, and to be honest, some of them are scams, or close to it. So, for better or worse, I avoid the entire class of scanning tools that fall into that model. And when it comes to drivers, as I’ll describe in a moment, the resulting lack of information (is a driver out of date?) doesn’t really bother me that much. Aside from relying on Windows Update, I actively look for driver updates only when I’m trying to track down a problem (or hear of a problem) with a specific driver or device. In other words, if things are working, I leave well enough alone. The majority of drivers are already handled by Windows Update. While newer drivers are often available directly from hardware manufacturers, issues dealing with security – the only thing I care about, if I’m not having other problems – are more than likely pushed through the Windows Update pipeline. Drivers not handled by Windows Update are diverse enough that targeting any one of them for a potential security vulnerability just isn’t worth most hackers’ time. Effort spent creating malware for a specific video driver, for example, targets only those people with that driver, and then only if that driver is not updated by Windows Update. Historically, driver updates are risky. Driver updates that come directly from manufacturers often don’t have the wide breadth of testing that ensures they’ll work, and work properly on my machine. Put another way: updating drivers without reason can be risky. They may not be legitimate or work. You don’t know where they get their drivers, or indeed, if the drivers they provide are even up to date. If you’re going to go somewhere other than Windows Update for drivers, I can only recommend one destination: the hardware manufacturer. Start with the computer manufacturer, especially if yours is a name brand computer. They often provide all the drivers on their support site. Others will point you to the component manufacturer’s site, perhaps even directly to the page you need. And yes, if the computer manufacturer doesn’t help with either direct downloads or point to the right component manufacturer, then this gets old very fast… which is another reason I only recommend doing it if you’re actually chasing down a problem you’re having with a specific piece of hardware. If that’s not the case, then the best place to get driver updates is simple: nowhere at all. 1: You may also hear the terms “hardware driver” or even “software driver”. « Previous post: Should I Worry If Email I Send Is Marked as Spam? Your advice on the driver update programs is ‘Spot On’, Leo. I have tried at least 3 driver update programs from very reputable software companies. While they usually recommended the correct update, they occasionally miss-identified the correct update resulting in failure of the device. I found that the PC manufacturer is the best source for driver updates even long after the PC warranty has expired. Having been in the computer repair business for several years now I’ve found that 99% of these ‘driver update’ programs are either total scams or want a lot of money for something that YOU can do for free, usually in minutes. First, I highly recommend only getting updates, whenever possible, from your computer’s manufacturer’s website (usually on the ‘Support’ page). If they don’t have current updates (and believe me – some don’t) I usually use C/Net’s Download.com site or Softpedia. They often still have drivers for older computers that the manufacturers have deleted from their servers long ago. You can also try Intel and Nvidia (providing your computer uses contains these components – many do). They can usually, with your permission, scan your PC to see if they have available updates. When you use the ‘Search Automatically’ option in Device Manager Windows is only searching in Microsoft Updates archive, not the entire internet as it sounds! As Leo said – If it ain’t broke, don’t fix it. I have had one or two difficulties with driver updates. My last laptop supposedly had an Nvidia graphics card, but installing the Nvidia drivers caused severe problems – I had to use the drivers from the laptop manufacturer’s website. It also seems that the drivers from Microsoft are written by them, not the hardware manufacturer, so may or may not work in specific instances. Another aspect of this is that peripheral manufacturers stop providing updates. For example, I have a perfectly good Cxxxn scanner that won’t work on any system later than XP! No doubt this is planned redundancy, they expect me to buy a new one. Herein lies somewhat of a rub…if you have Windows 10, you get automatic updates regardless of whether you want them. If your device manufacturer says X driver is the best for your situation and you installed that and Microsoft sends Y, then you may have a problem. If you use a program supplied by the device’s manufacturer to automatically update it could go back and forth. This was a major mistake made in the name of trying to keep all 10 installations running in about the same state, whether or not it would be the best answer. This is why I went back to 7. Windows 10 even installed from a thumb drive after the Get 10 app told me the video card would not do, and that should have been my sign. Those of us that like having some degree of control over how our computer works have problem with that and those who don’t have a clue how their computers work get up in arms and claim Microsoft said they would have no problems. And yes, always know your hardware. Go to the websites and find what you need. Save it, whether you backup (as we all know we should) or not. Save all the disks you get with it, if you do get any. Eventually you may have to reinstall anyway (hard drive may fail, you may not be able to save Windows after all) and having those drivers will make it a lot faster when you do. First of all I seemed to have misplaced the last reply (it’s for Bob) but I also have to ask you if you’ve tried to install the scanner in XP compatibility mode? I do keep an XP machine for what I need to use and can’t run otherwise, although it’s down to just a scanner like you. It seems to be harder to find a standalone scanner that isn’t combined with a dubious printer and fax “all in one”. So I completely understand your plight. I agreed with the comments about driver update programs until about a year ago when I discovered ioBit’s free Driver Booster. 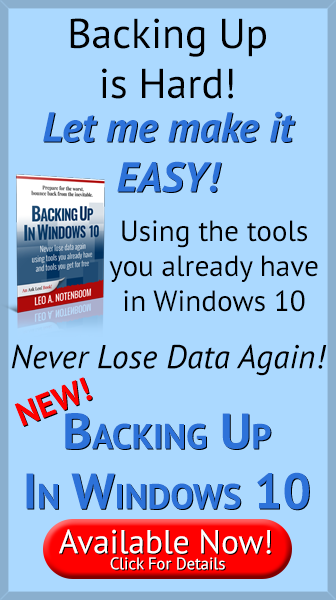 I have used it on several versions of Windows and several hardware configurations on different machines for about a year and it works well to identify outdated drivers and to install updates. They pester you occasionally to get thevpaid version, but I have stuck with the free program and am very happy. Excellent advice! These driver update utilities can be dangerous. Nothing worse than blue screening or losing hardware functionality after a driver update, so unless there is a compelling reason for it, don’t do it! 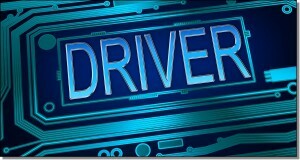 i have a program in this pc called driver booster 2. it lets me know if a driver is out of date and can get it back where it belongs if needed. seems to work ok for me and im happy with it. usually it comes up with the message all drivers are up to date but if one isnt it gives me the option to update and i very happy with the results. its a freebie too. First, thanks for all the advice and tips over the years Leo. I’m more of a reader than a commenter but as I think this is an important issue here’s my tuppence worth. For quite a few years now I’ve been the ‘go to guy’ for friends and family. Whether it’s a Pc or a laptop, Drivers have always been a problem, especially when someone has an old but much loved machine. The older the machine, the harder it has become to source the Drivers. I have tried probably every Driver program out there over the years and the vast majority are scams. Then, about 18months ago I think, I came across a program called SlimDrivers (free version) from SlimWare Utilities. I downloaded version 2.3.1 and saved it to a usb and it has served me well ever since. It has even found the missing drivers for a 10 year old laptop that I couldn’t find anywhere. When installing it don’t forget to untick ‘My Pc Backup’ and it will also direct you to download the latest version which I never bothered to do as the version I’m using works perfectly well. Also go into it’s settings and untick ‘Run at start up’ and when you’ve run the program it remains open in the notification area so you might just want to right click and exit out of it. When installed, just run a scan and it will list all your missing Drivers. You can then download and install them individually and create a restore point for each one (or not) if you wish. I usually leave the top two until last and I definitely create a restore point for these as they are usually the Audio Driver and the Graphics Driver. These have always been the hardest to source but can also cause the most difficulty if they are the incorrect version. That said, I’ve had no difficulties installing either of these Drivers to any machine missing the Driver. I’ve only had a problem when I’ve attempted to update an existing Driver to a newer version but having already created the restore point it was never a great problem. Also, when using the program to check for Driver updates as opposed to finding missing Drivers, Slim Drivers also tells you if the Driver you already have installed is newer than the version you are about to install and you can therefore cancel the particular update. I hope some of your readers may find it of use. “In other words, if things are working, I leave well enough alone.” – That’s absolutely the best advice, with one exception: if you’re a serious PC gamer, you’ll likely want to get the latest drivers from your video card directly from the manufacturer as these will enable you to alter the graphical settings and will likely provide better in-game performance. A couple of points worth noting in relation to the drives supplied via Windows Update: 1) They’ve been Windows Hardware Quality Labs (WHQL) tested and so may be less likely to cause problems than drivers obtained from other sources; 2) They’re supplied in a stripped-down form: they’ll enable your hardware to work, but will not necessarily include the control panels and tools that would be bundled with the drivers from manufacturers’ websites. For example, with the WHQL drivers, you’ll likely not get the utility that tells you whether your printer is low on ink or the control panel that enables you to alter your video card’s settings. Some people will not want those control panels and tools; others will. “I avoid the entire class of scanning tools that fall into that model.” – Yeah, me too. IMO, there absolutely no circumstances in which it makes sense to use these tools. The best advice is to avoid them completely.